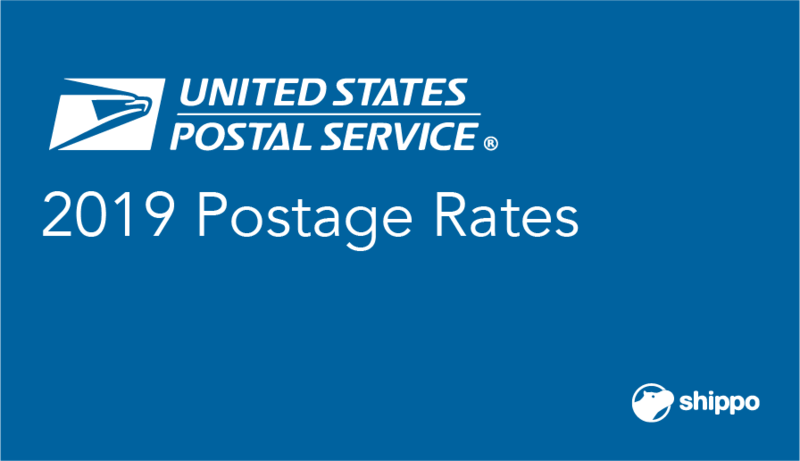 The 2019 USPS postage rates are in effect, as of January 27. Today we’re sharing the new rate charts for popular USPS service levels to make sure you will continue to use the best shipping option(s) for your orders. Here at Shippo, we know your shipping rates have a major impact on your bottom line. In fact, 75 percent of online businesses cite the cost of shipping as the No. 1 challenge for their business, an increase of 7 percent from the year prior. With Shippo, you can rest easy knowing that you are getting the lowest-possible USPS rates. If you’d like a personalized shipping analysis, please get in touch with our team. How Will the 2019 USPS Postage Rates Change? USPS Priority Mail Commercial Plus Pricing (CPP) rates match Commercial Base Pricing (CBP). No matter what shipping software you use, CPP prices will be the same as CBP. By using Shippo, you’ll get the lowest USPS rates. Period. USPS First Class Package Service (FCPS) switches to zone-based pricing. The pricing for packages shipped via Zones 1 and 2 are close to the same as 2018 rates. The rates go up from there, making it more expensive to send your products longer distances. Overall, USPS FCPS is still a great option for lightweight items, especially when compared to FedEx and UPS. We’ll break down what these changes mean further below. Please note: we’ll be covering the lowest-possible rates in the tables below (what we’ve traditionally called CPP, but are now accessible for both CBP and CPP users). You can get access to the most-affordable rates by using Shippo to manage your e-commerce shipping. 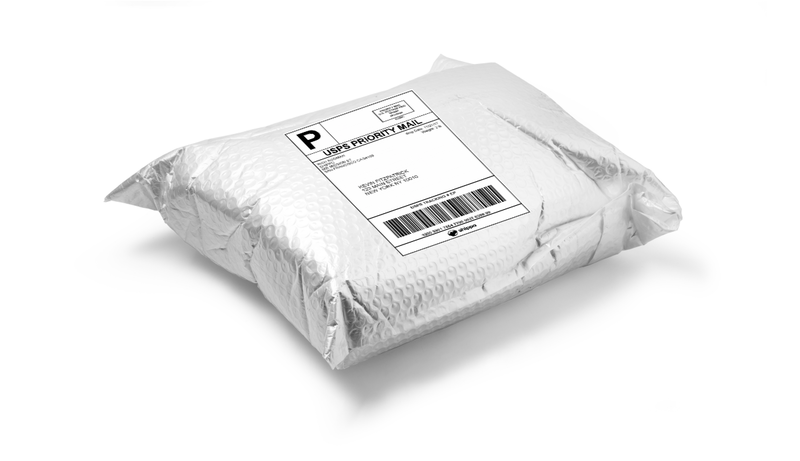 USPS Priority Mail is a key shipping service for many e-commerce businesses. Packages shipped via Priority Mail will arrive within 1-3 business days, depending on where the package starts and ends. 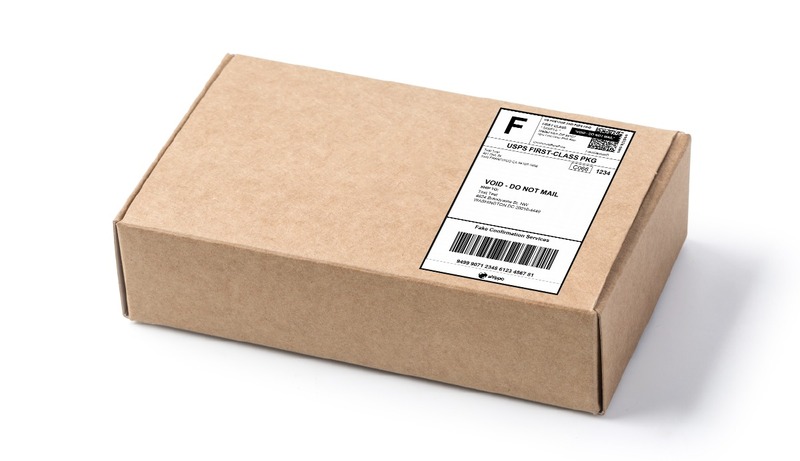 You can use your own packaging to ship via Priority Mail, and these shipments include USPS Tracking and insurance up to $50 for most shipments. Shippo offers you deeply discounted USPS Priority Mail rates—up to 40 percent less than what you’ll get at the Post Office (also known as Retail rates). Here’s a sampling of the 2019 USPS Priority Mail rates accessible via Shippo. As you’re budgeting for 2019, it’s important to know how these rates vary from last year’s prices, so you can make those changes to your plans. For our purposes, it’s worth looking at how these rates changed for CBP and CPP separately. Let’s look at the reported increase for USPS Priority Mail: 5.9 percent. How did the USPS arrive at this number? We expect that they used a weighted formula averaging their total volume and giving greater importance to their most-popular weights and zones. What this number doesn’t show is that CPP users typically will experience greater increases than CBP. In fact, we estimate that this number more closely represents the increase that CBP users will receive: a 5.9 percent average increase from their 2018 rates. Here’s a sample comparison of how CBP rates changed from last year. As for CPP rates, we estimate the increase from last year’s rates is closer to 9 percent. Let’s compare a sample of 2018 and 2019 CPP rates. Finally, it’s worth looking at our Top 3 most-popular USPS Zones to see the 2019 cost savings, comparing Shippo versus Retail rates. As a reminder, Retail rates are what you’ll get at the Post Office. First up, for packages up to 70 pounds traveling Zone 4, Shippo saves business owners an average of 22 percent. Here’s the breakdown for packages weighing up to 10 pounds. 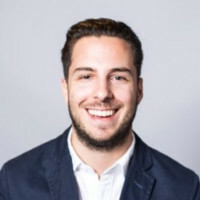 Next, for packages up to 70 pounds traveling Zone 5, Shippo saves e-commerce businesses an average of 22 percent. Here’s the breakdown for packages weighing up to 10 pounds. Finally, for packages up to 70 pounds traveling Zone 8, Shippo saves you an average of 16 percent. Here’s the breakdown for packages weighing up to 10 pounds. Like the USPS slogan states, “If it fits, it ships.” You can get the boxes for free, and you’ll pay a flat rate to ship a package weighing up to 20 pounds anywhere in the U.S. between 1-3 business days. Here are the USPS Priority Mail Flat Rate prices you’ll get using Shippo. We’ve also included the USPS Retail rates for comparison’s sake. On average, Shippo saves e-commerce businesses an average of 8 percent compared to Retail rates for Priority Mail Flat Rate boxes. One reason we believe they get less attention is because you need a shipping software like Shippo to access USPS Priority Mail Regional Rate prices, which means there are no Retail rates to compare. If you want to use this service level, you have to ship using one of the USPS-produced Priority Mail Regional Rate Boxes. You can get the boxes for free here. Here are the 2019 USPS Priority Mail Regional Rate Box A and B prices. 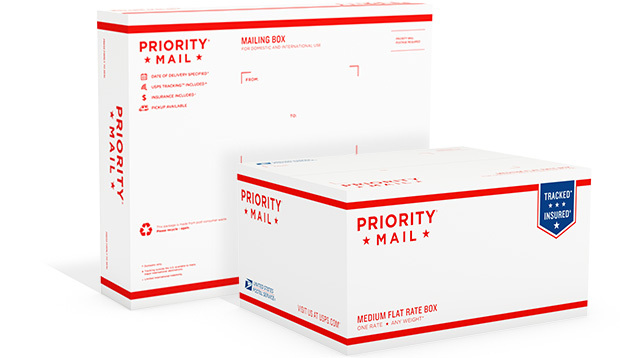 In our analysis, we found the USPS Priority Mail Regional Rate Box A prices to be more affordable than Priority Mail starting at the 3 pound package weight mark (except for Zones 1 and 2, where the threshold is 4 pounds). If your product will fit in the box (10 inches x 7 inches x 4.75 inches), you should strongly consider this option. Here’s a chart comparing Shippo’s USPS Priority Mail rates with our USPS Priority Mail Regional Rate Box A prices. The Regional Rate Box A is a competitive option for any package that falls in the yellow cell. Keep in mind your product needs to fit in the dimensions of the boxes and you need to use the free USPS-provided boxes. 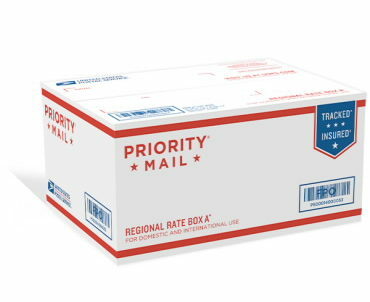 We found the USPS Priority Mail Regional Rate Box B to be more affordable than Priority Mail starting at the 6 or 7 pound package mark, depending on the Zone. If you are shipping a heavy item and it fits in the box (12 inches x 10.25 inches x 5 inches), this is another great option for you. Here’s a chart comparing Shippo’s USPS Priority Mail rates with our USPS Priority Mail Regional Rate Box B prices. Just like above, the Regional Rate Box B is a competitive option for any package that falls in the yellow cell. If you’re looking to ship a package under one pound, you’ll want to consider the USPS First Class Package Service (FCPS). This service is the most cost-effective option for lightweight shipments, if you’re willing to wait the extra business day or two that it will take to deliver, compared to Priority Mail. Like mentioned above, USPS FCPS changed to zone-based pricing this year. The USPS reported an 11.9 percent increase for USPS FCPS over last year’s rates. Here are the new 2019 USPS FCPS rates. If we overlay the 2018 USPS FCPS rates onto a Zone chart, how do the 2018 rates compare to the 2019 rates? There are a few key rate levels that did not changes, all of them are for Zone 1 & 2 shipments, particularly the lightest-weight packages. The rest are slightly more expensive than last year; however, USPS FCPS continues to be a great option for lightweight items, especially when compared to FedEx and UPS. Shippo is a preferred option for accessing 2019 FCPS rates—offering rates up to 28 percent less than Retail rates. Let’s use our same Top 3 USPS Zones to compare Shippo and Retail rates. While many of the 2019 USPS postage rates have changed from last year, the increased rates are oftentimes more affordable than the UPS or FedEx alternative, especially for lighter-weight packages traveling to residential addresses. We recommend using a shipping software like Shippo to access deeply-discounted USPS postage rates, compare rates across carriers, and ship from multiple carriers at once, all in one dashboard. Sign up for Shippo to access these rates for your business.